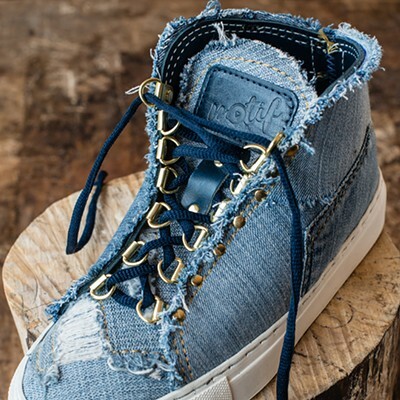 McIntosh helps students learn to sew the uppers to the midsole. As a young woman in the 70s, Sara McIntosh, founder of the Chicago School of Shoemaking in Ravenswood, was a part of the back-to-the-land movement. She built a log cabin, bought a cow, grew her own food, and started bartering for goods and services. 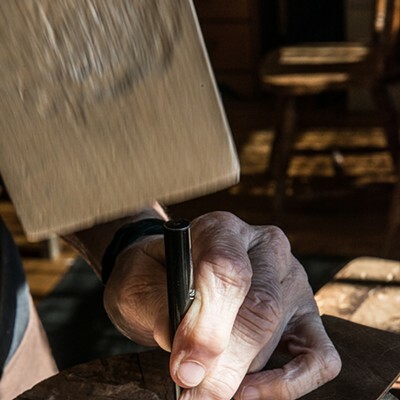 "Massage, pottery, counseling, help with building a home, photography, sculpture, clothing—I even traded for an echocardiogram once," she says. To develop her self-sufficiency, McIntosh started shoemaking, dissecting old boots to gather patterns and to figure out how they were crafted. 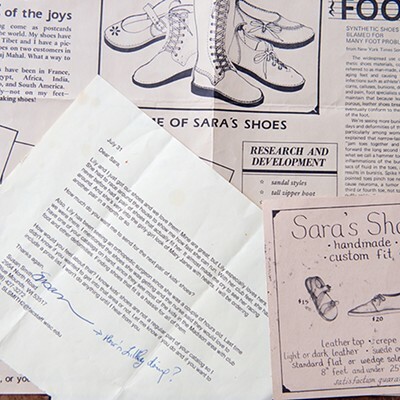 Before long what started as a service for family and friends blossomed into a vocation and a small business, and in 1976 she opened a shoemaking shop in her hometown of Bloomington, Indiana. "I just wanted to make things, to not be accountable to anyone but myself and my bank account," McIntosh, who's 67, says. "There wasn't a lot of competition in those days, no Internet to find schools or teachers. It was actually very liberating." Shoemaking afforded her the freedom to work on her own wherever she wanted, and in subsequent years she moved to Minnesota with her daughter and lived in Wisconsin, Colorado, and New Mexico. 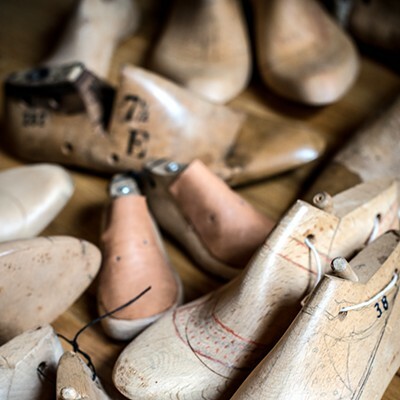 In 2007—10,000 pairs of hand-crafted shoes later—she returned to the midwest and opened the Chicago School of Shoemaking to help others learn what she'd taught herself. 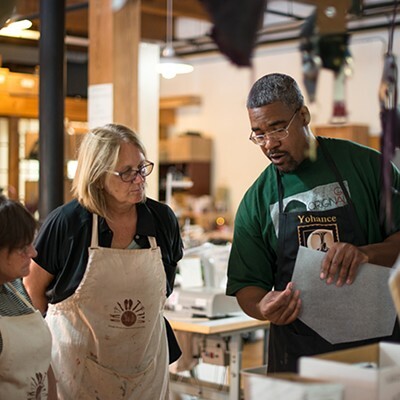 CSOS classes include leather-working basics and more advanced instruction on turning materials into bags, belts, and sneakers. 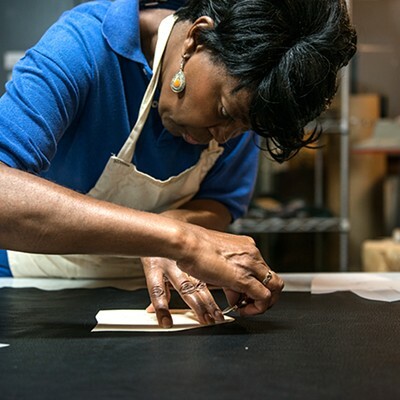 McIntosh recently developed a 240-hour leather technician certification program, and she's currently mentoring one of the instructors at her school, Yohance Lacour, as he launches a start-up leather sneaker line called Motif. On a weekend in July, six novices arrive ready to learn the process of building a pair of shoes. The environment resembles a summer camp; students bond as they help each other form the uppers and are guided through using an industrial sewing machine for the first time. They share doughnuts while waiting for sole glue to dry. There are few opportunities to learn cobbling in the U.S., and McIntosh's classes draw interest from across the country, many having learned about the school and its programs on the CSOS website. This particular session is all out-of-towners, with students hailing from North Carolina, Texas, Wisconsin, Florida, and Canada. "It's like an arts and crafts class when you're old," says student Christina Hamada, a programmer from Madison, Wisconsin. 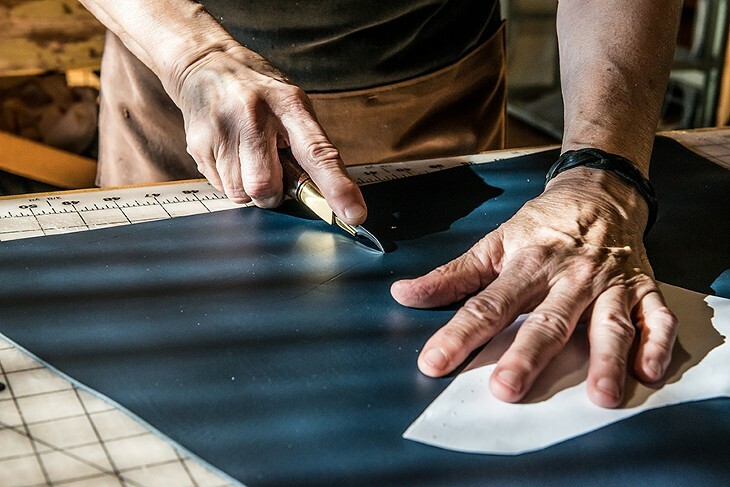 "I make things at my job, but it's less concrete, more nebulous." After two days, Hamada has created a one-of-a-kind pair of black leather desert boots with a snakeskin accent along the back. 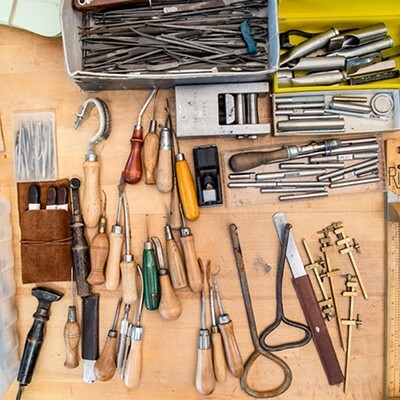 Classes year-round, evenings and weekends, 3717 N. Ravenswood, #113, 773-242-7436, chicagoschoolofshoemaking.com, $89-$1,200; see website for details. McIntosh takes pride in instilling self- sufficiency in her students as well as in passing on her craft. 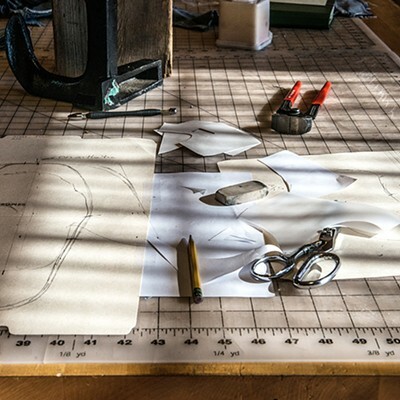 "I am one of the few people in [America] who makes custom-fit shoes and boots from scratch, by hand," she says, flipping through a binder of thank-you notes and hand-drawn measuring guides from throughout her career. She has assisted elderly folks with swollen feet and people with high arches. She chokes up when she comes across a letter from a mother whose child had clubfoot and was unable to wear most shoes until McIntosh custom-made her a pair. Sara McIntosh, founder of the Chicago School of Shoemaking, at her Ravenswood studio and school. 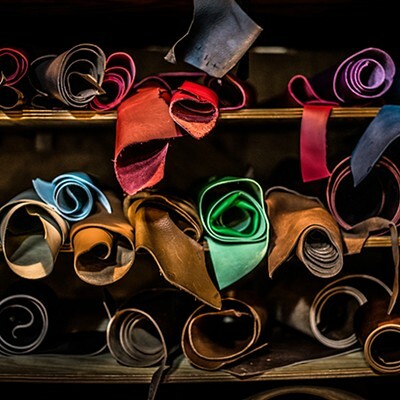 One of the world's largest collections of shoes for bound feet is in a Chicago apartment. Yolocone's colorful mural at El Santo Taqueria is one of many around Chicago by the talented street artist. "Climbing got me through a lot of hard times and taught me lot about life." Who wouldn't want to travel with these pups?